European funds for reducing Freight Traffic: Marco Polo programme. 2) Catalyst actions: change the way non-road freight transport is conducted in the European Union. 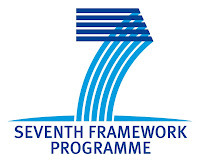 The general objective of the call is to promote the implementation of the four strategic objectives of the 'Strategic framework for European cooperation in education and training (ET 2020)' (lifelong learning and mobility; quality and efficiency; equity, social cohesion and active citizenship; creativity and innovation) and a set of strategic priorities agreed for 2012-14. - providing support to implementation of innovative learning environments using information and communications technology. Transnational cooperation may occur at national, regional or local level. It may cover different types (formal, non-formal, informal) and levels (pre-school, primary, secondary, tertiary, adult, initial and continuing vocational education and training) of learning and may include links to other sectors (e.g. employment and business). V-MOVE is an international training programme for heritage professionals and researchers in the field of virtual museums, aiming to enhance the skills and knowledge of digital visualisation and communication technologies, focused on virtual museums. The V-MOVE innovative and experimental training integrates multi-disciplinary research across social, historical, humanistic and technological sciences. Interested applicants could apply for one mobility program and prepare a specific programme of work, together with the tutor of the hosting institutions. The aim of IMI is to propose a coordinated approach to overcome identified research bottlenecks in the drug development process, in order to accelerate the development of safe and more effective medicines for patients, by fostering collaboration between all stakeholders such as industry, public authorities (including regulators), organisations of patients, academia and clinical centres, and enhancing Europe’s competitiveness. The European ministers for research- and innovation have after long and hard negotiations reached an agreement on the overall structure for the EUs coming Framework programme for research and innovation – Horizon 2020 – which has a proposed budget of EUR 80 billion.